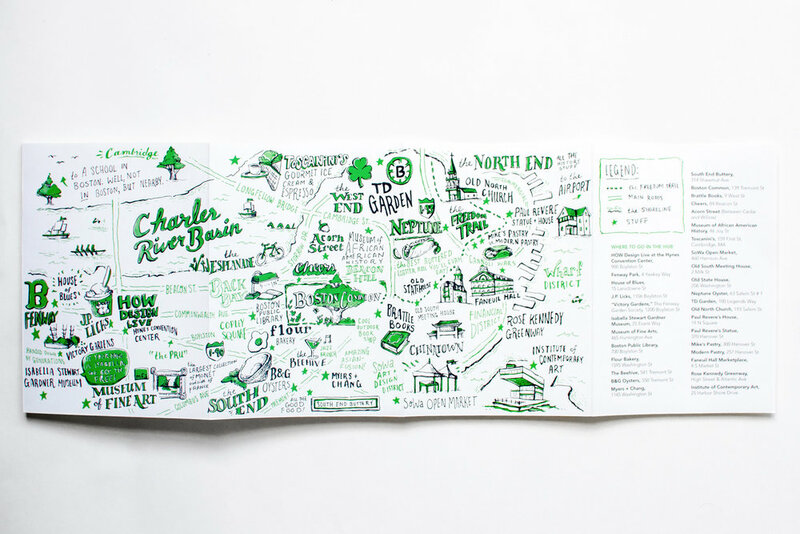 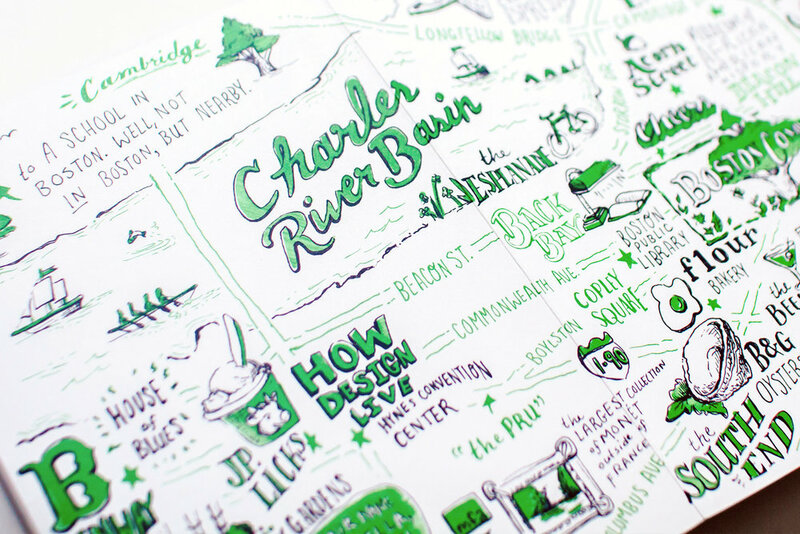 Freelance illustrator, artist and designer Russell Shaw created this hand-drawn, hand-lettered, pen-and-ink illustrated city map and guide to Boston for Neenah Paper at the HOW Design Live conference in 2018. 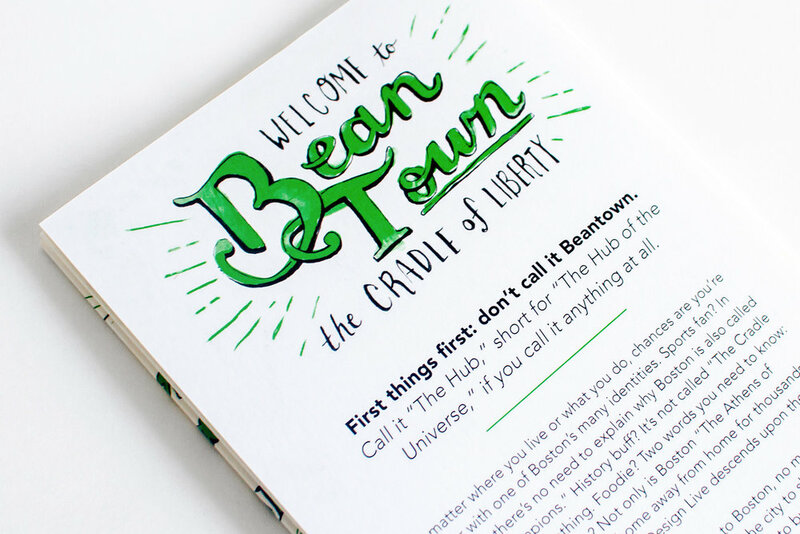 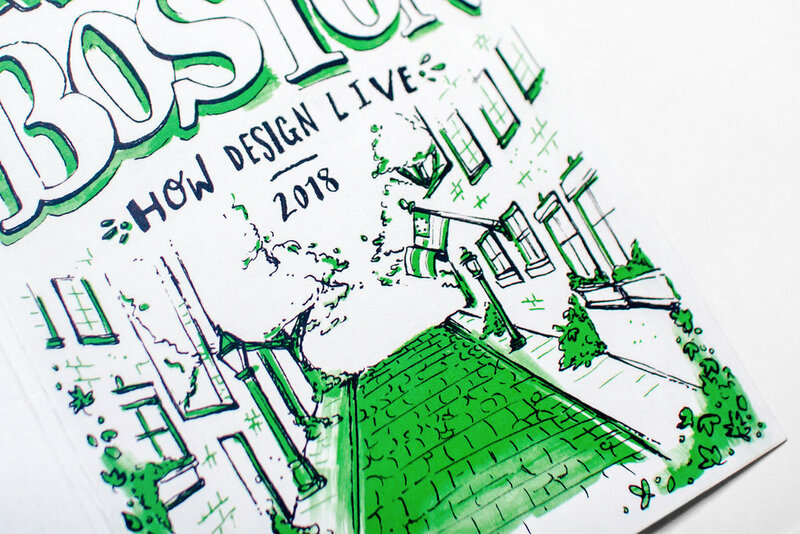 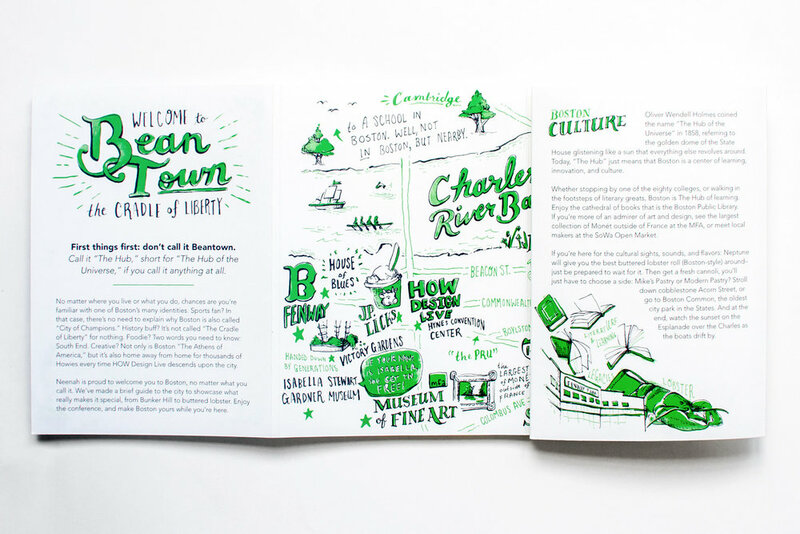 Neenah Paper's Illustrated and Hand-Lettered City Guide to Boston for the 2018 HOW Design Live conference. 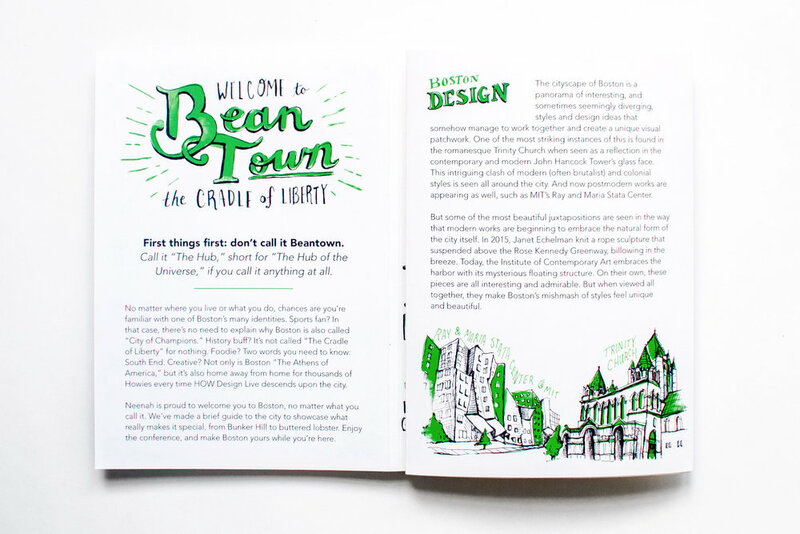 Following the previous city guides in our series (New Orleans with Neenah, Neenah Presents Atlanta (PRINT Magazine's 2017 Typography and Lettering Awards "Best in Class" Winner), Neenah Presents Chicago, and Neenah Presents Minneapolis), Neenah Paper commissioned this fifth illustrated city map of Boston for the 2018 HOW Design Live conference and event. 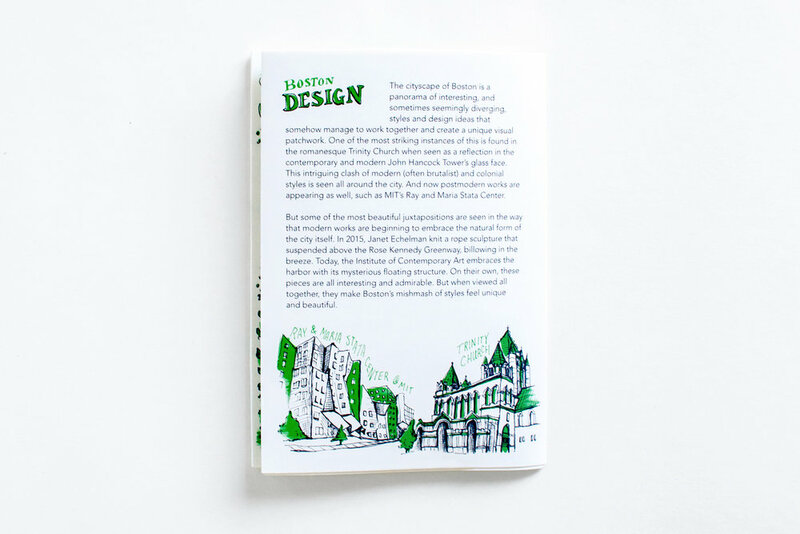 This limited edition promotional print piece showcases the Hub (don't call it Beantown), with fold-out panels full of historical and cultural facts, insight into the art and architecture of the city, and a large hand-drawn map highlighting hot spots from all over the city. 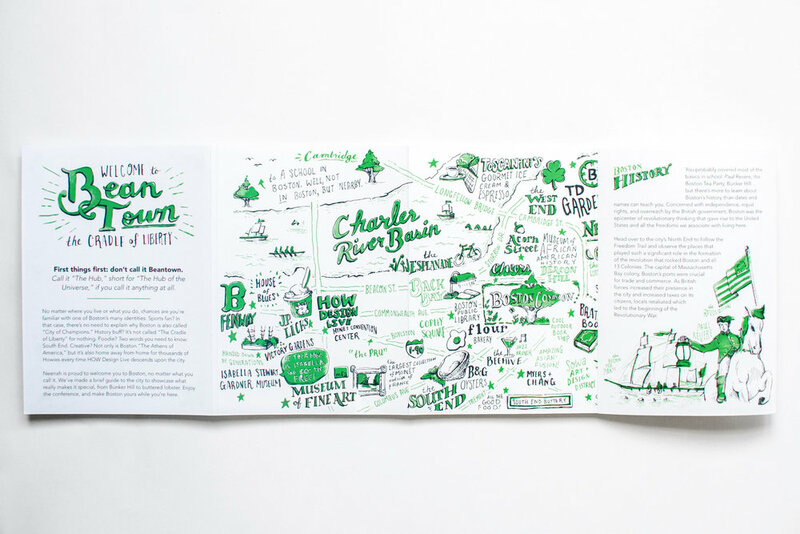 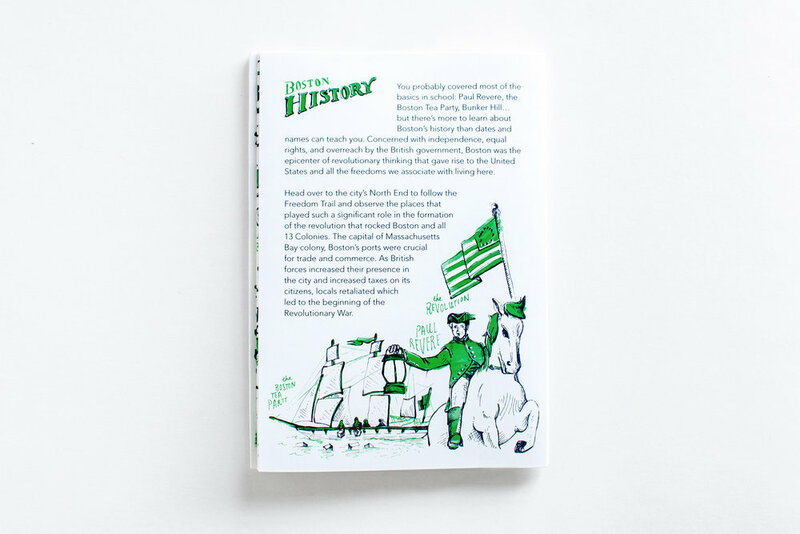 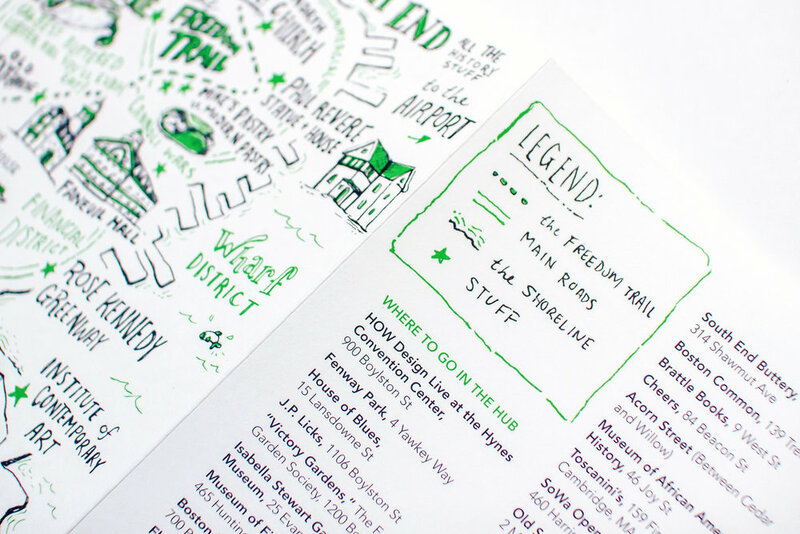 The map features hand-drawn, pen-and-ink, rough line work illustrations with one single pop color – a bright, green Pantone spot color – printed on Neenah Paper's Classic Crest Cover, Bare White 100C, in Smooth Finish.